After centuries and what seems like a significant amount of innovation, people are still farming with similar tools from 100 years ago. Gas and diesel driven equipment have become smarter and more intuitive with features like auto-drive or built-in touchscreen interfaces. At the end of the day, a farmer is still required to sit in the cab and plow along rows after rows. 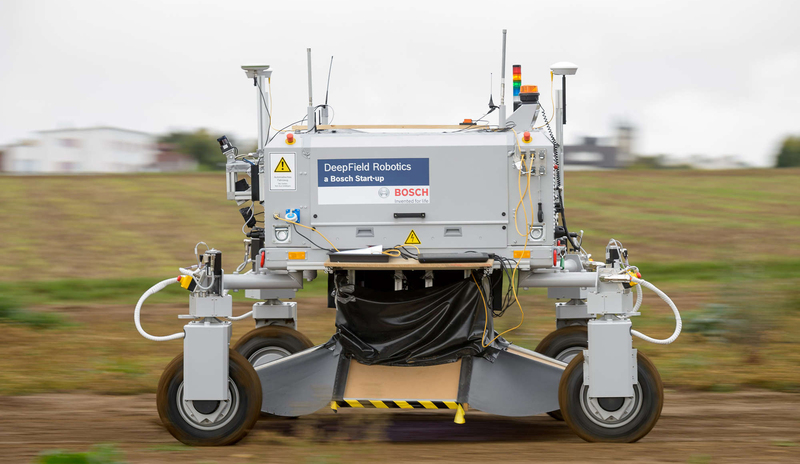 Bosch wants to flip farming upside down with its new Deepfield Robotics branch of its company. The star of the show is Bosch’s BoniRob “adaptable multi-purpose robotic platform”. Honestly, it looks like something out of Star Wars. But it promises to simplify a number of farming tasks in an efficient manner. 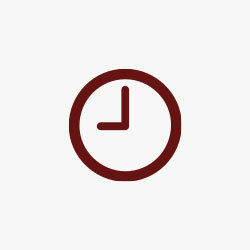 The main idea behind BoniRob is to reduce the amount of time spent on tedious tasks that are often associated with farming. But this system isn’t just about planting and picking the carrots, it has a significant amount of intelligent software behind it. The “brain” of the operation is able to view and differentiate between different types of plants based on shape, color and other characteristics. It uses this information to correctly identify good and bad plants while working. BoniRob’s standout feature is its weeding mechanism. According to Bosch, it can eliminate weeds by striking down with a metal rod with enough force that the intruder can not survive. This is a healthier alternative to chemicals for both humans and mother earth. The software is able to make a decision on each object in the ground based on what has been taught by its owner. Bosch even has plans for this system to work in unison with an Unmanned Aerial Vehicle in the future to plan and identify problem areas. Don’t expect to see BoniRob weaving and bobbing down a cornfield near you any time soon. 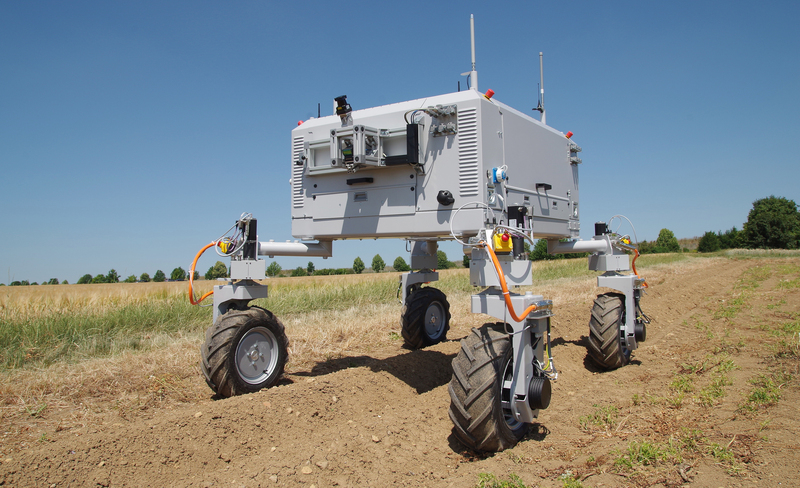 While initial testing has been positive, this robo-farmer still has a long journey until it’s ready for the big time.